Lenovo-owned Motorola spilled the details of its upcoming Moto G7, G7 Plus, G7 Power and G7 Play smartphones ahead of the official launch on February 7. 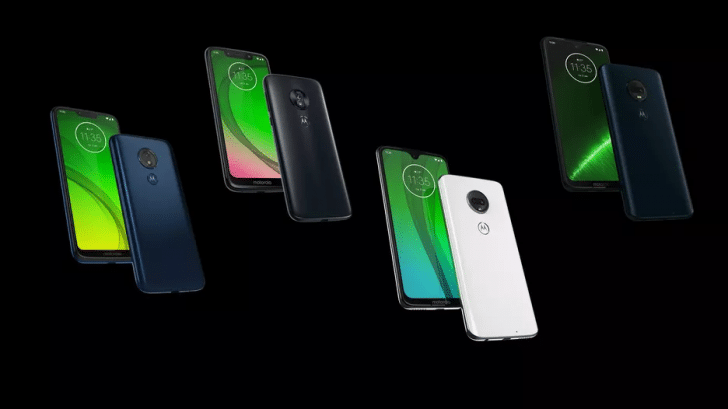 Motorola’s Brazilian website accidentally uploaded the Moto G7 lineup two weeks ahead of the official announcement. The pages contained specs and images revealing everything there’s to know about the phones, the GSMArena reported on Thursday. Incidentally, the Motorola Moto G line-up is the company’s most important portfolio of budget phones. According to the leaked specifications, the Moto G7 features a 6.24-inch screen with a waterdrop-style notch and a resolution of 1080×2270 pixels . It’s powered by a Snapdragon 632 chipset coupled with 4GB RAM and 64GB onboard storage. The Moto phone carries a 12MP main sensor and a 5MP secondary unit for depth information while a 3,000mAh battery sits underneath. The remaining Motorola Moto G7 phones namely, the G7 Play, G7 Power and G7 Plus sport similar specs. However, the Play and Power feature lower-resolution displays (720 x 1512) while the latter boasts a huge 5,000 mAh battery, the report added.